Energetic Lighting’s LED flat panel light fixture provides options for color output with sensor and emergency battery backup options. Available in standard 2x2 configuration and suitable for any office application or layout. 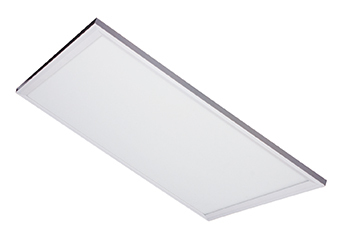 This panel light can be used for general office lighting, providing high quality light without any of the maintenance issues associated with fluorescent tubes. Installation is quick and simple when mounting into standard drop-in T-grid suspended ceiling systems. Anchor points at each corner are also provided for suspended cable mounting as well hooks for seismic code compliance. Options include an integrated microwave occupancy sensor as well as emergency battery backup system with standard 90 minute runtime. Constructed with a durable steel rear panel, extruded aluminum frame, and an LED lifetime rating of at least 50,000 hours, this panel is designed for many years of reliable operation. Dimensions 23.8" x 23.8" x 2" 47.8" x 23.8" x 2"